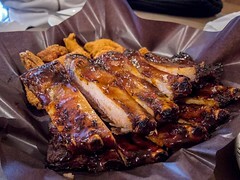 Whenever pork ribs are on sale, The Hubby and I like to pick up a rack (or two) because…well ribs! 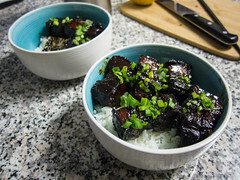 There are so many ways to cook them and we stole this recipe directly from my mother-in-law’s kitchen. 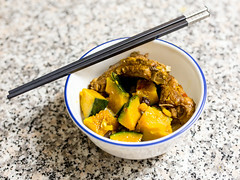 Savoury, spicy ribs with sweet kabocha squash, aka Japanese pumpkin. 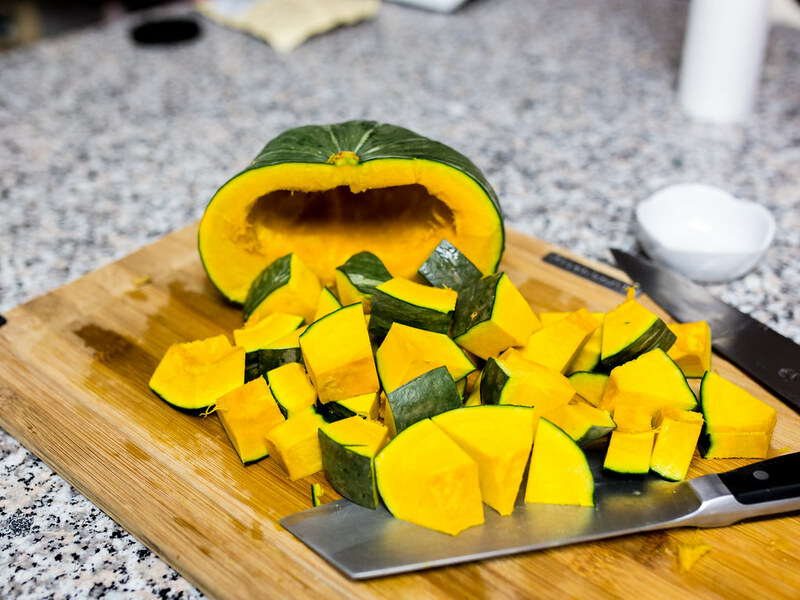 My mom and mother in-law have always refereed to this squash as pumpkin, and now it’s been ingrained. I have to be honest, between the ribs and pumpkin, I actually enjoy the pumpkin more. 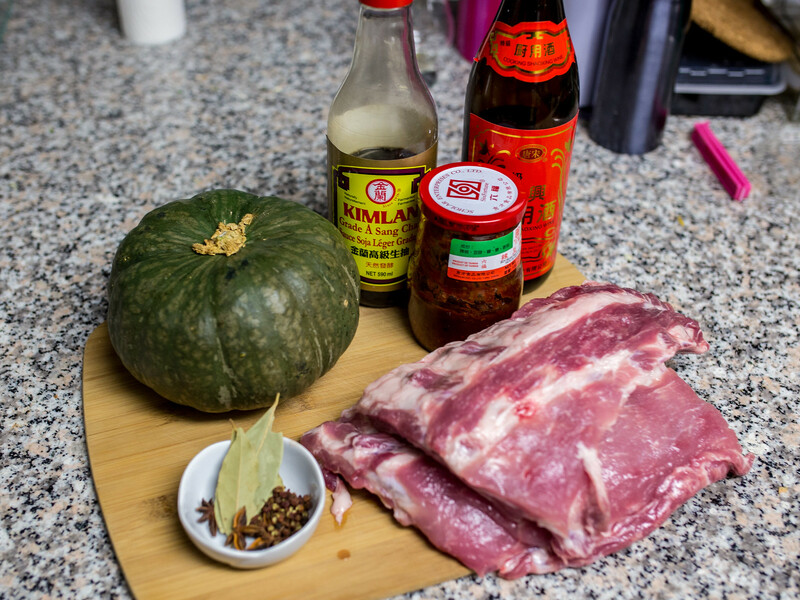 Incredibly soft, the pumpkin is perfect for soaking up all the delicious rib juices and sauce. This dish is also a good make-ahead meal to pack for weekday lunches. 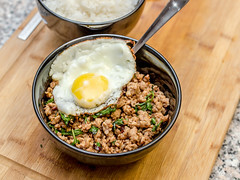 In this version, we used spicy bean paste (dou ban jian) so we skipped the chilli pepper. 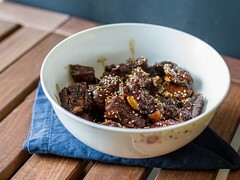 If you’re using regular dou ban jian, a dash of chilli pepper, or a couple of dried peppers add a good kick. 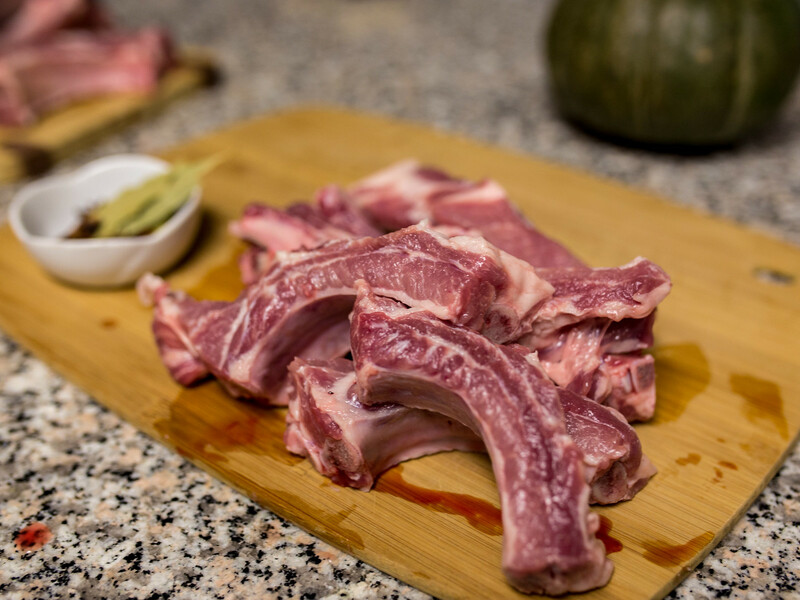 Cut ribs into single pieces. In a pot large enough to hold all the ribs, bring a pot of water to a boil. Add the ribs into the boiling water and bring to a boil again. Let the ribs boil for 3-5 minutes, then drain and rinse with cold water. 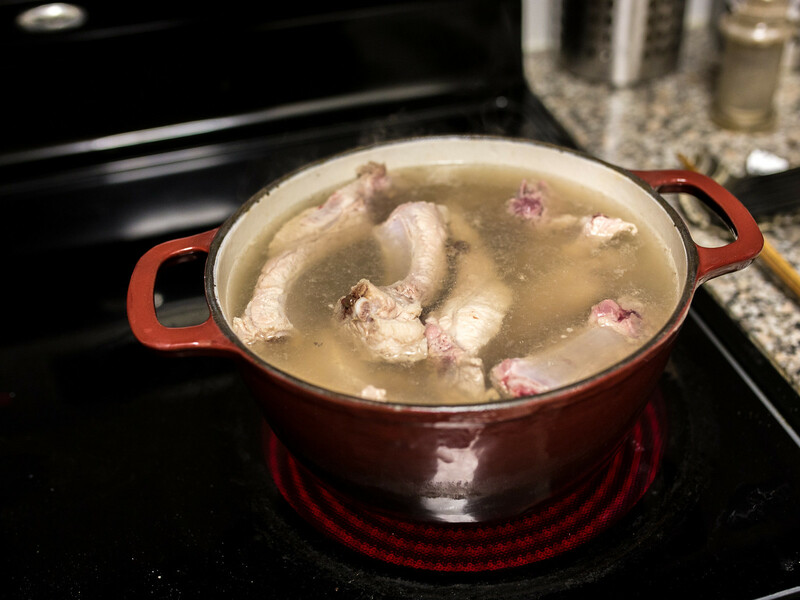 Place the rinsed ribs back into the pot and fill with enough water to cover them. 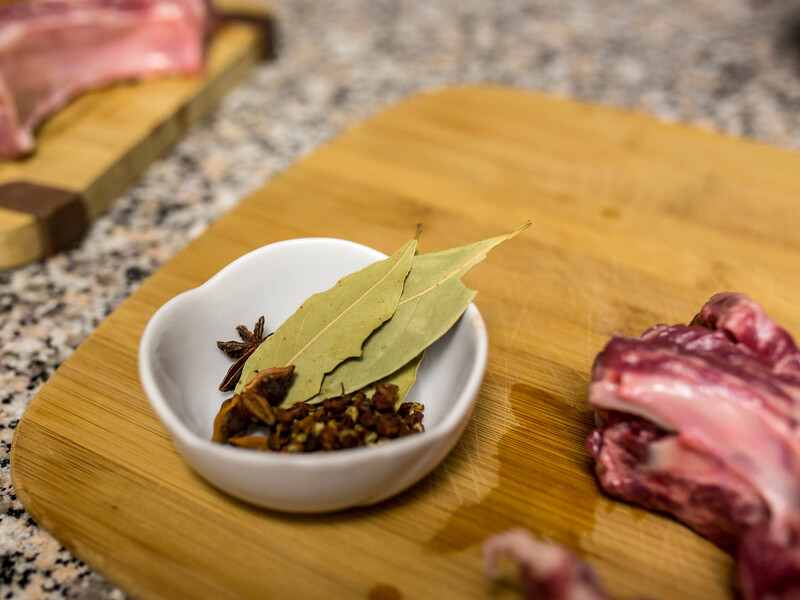 Add the peppercorn, star anise, dried red peppers (optional) and bay leaves. 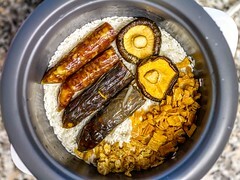 Add salt, soy sauce, doubanjian and cooking wine. 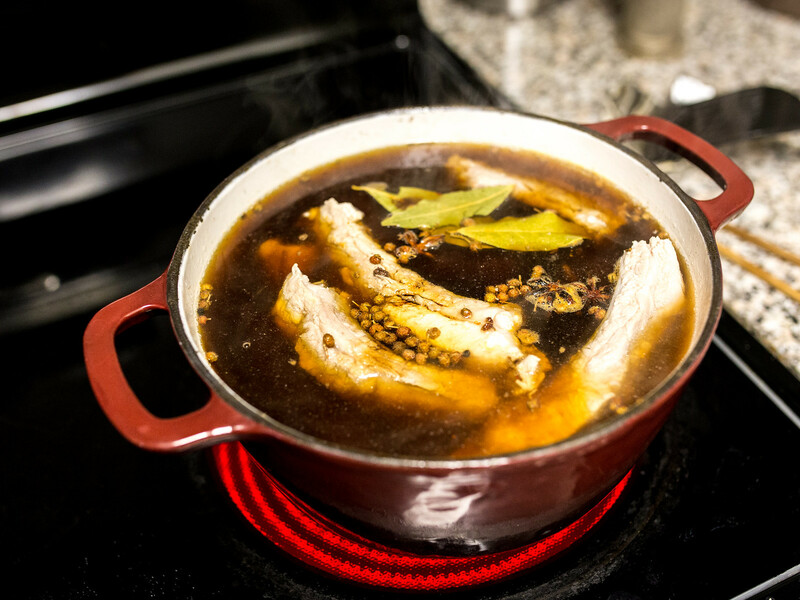 Bring the pot to a boil and let simmer for 2-3 hours or until the ribs are tender. Cut the squash into cubes with the skin and microwave for 2-3 minutes. 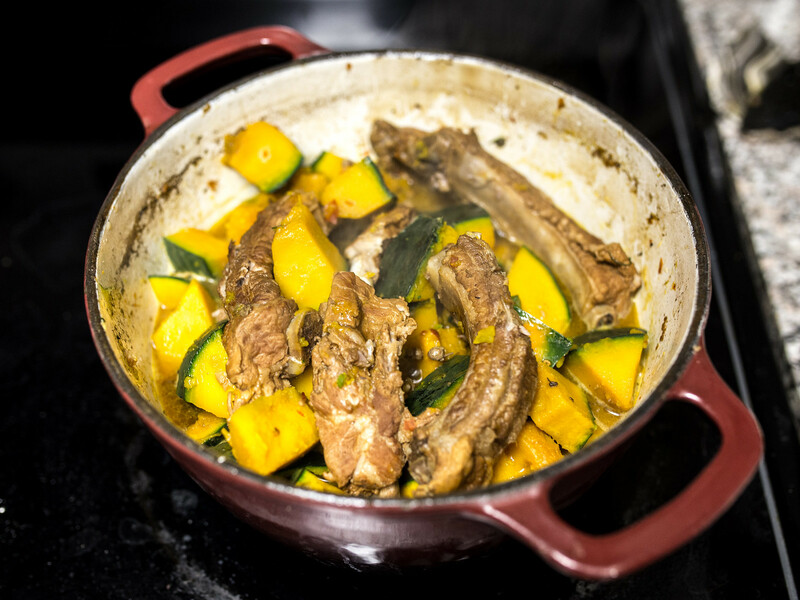 Add the squash to the pot with the ribs and bring everything to a boil one more time before serving.